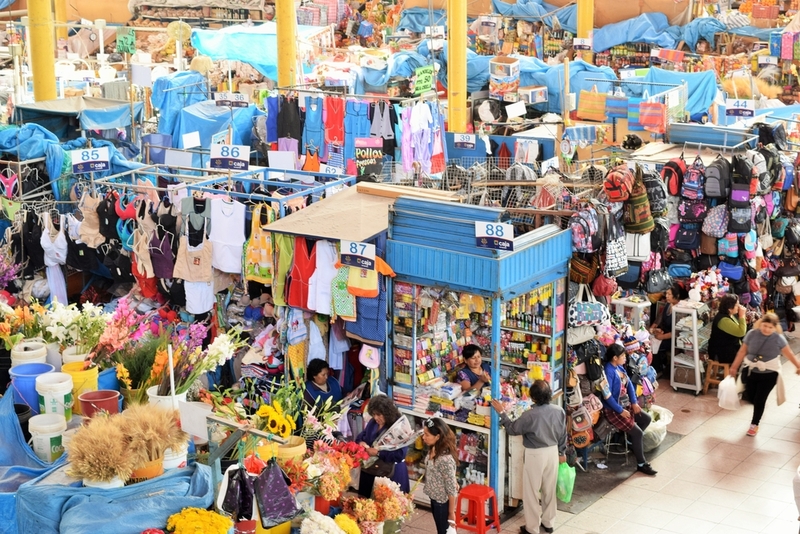 Peruvian markets are lively places of commerce with delicious and cheap food. For a bite to eat, some groceries or just to check out the vibrant and chaotic scene, here is a guide to Peru’s essential food markets. Located in downtown Lima, only a short walk from Plaza de Armas, this market is multi-leveled chaos. 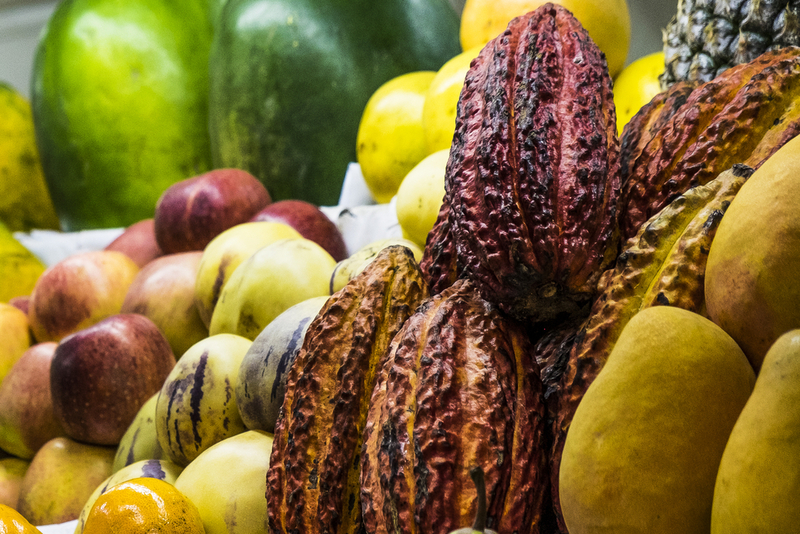 After exploring the colonial buildings in Lima’s historical center, grab some groceries at the market or just explore the vibrant and seemingly endless fruit and vegetable displays. Having the unique distinction of being in the Amazon, this market offers food and oddities not found at other markets throughout Peru, such as Amazonian fish and snake skins. You won’t find the best artisanal products or classic Peruvian souvenirs, but it is a sight to behold. Located a short distance from Parque Kennedy, score some local treats at mercado surquillo. Surrounded by sandwich stands and “menu del dias” serving Peruvian classics like papas a la huanciana, rocoto relleno and aji de gallina, head to this market ideally with an empty stomach. Wash down some traditional food with a unique drink made by a witch in the las brujas (witches) section of this market. While offering similar food to other places in Peru, this market has become a tourist destination largely because of the burjas corner. Cusco’s go-to market offers shoppers cuts of beef, fish, hanging pigs heads and much more. And if you haven’t tried guinea pig (cuy) already, there is no better place to this unusual dish. This is another large market where you can find just about everything. 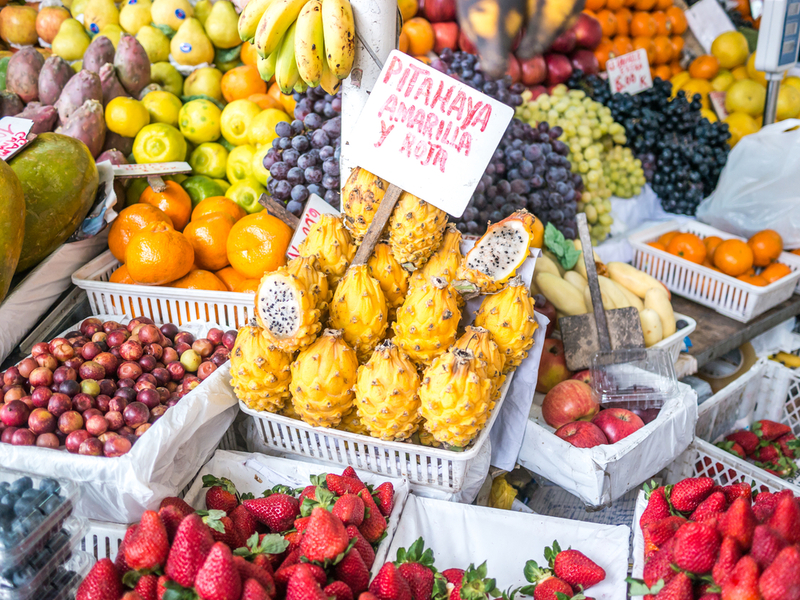 Shop like the locals do and head to the mercado in Arequipa, if only to grab a quick bite to eat – it’s much cheaper in the market than elsewhere. With caged animals and hanging chickens, this is another market to behold. Chaotic and entertaining, you’ll still find delicious and cheap food at the market – even a live guinea pig if you want to keep it as a pet rather than eat it.